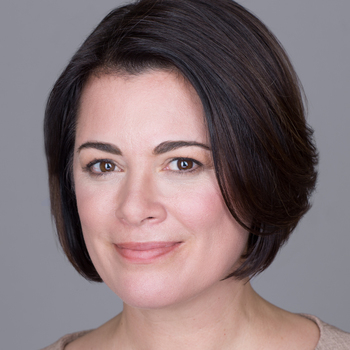 Colonel Nicole Malachowski (USAF, Ret.) was the first female Thunderbird pilot and the first woman to fly on any Department of Defense military jet demonstration team. Nicole followed her career as a pilot with high-level assignments in the White House. The path to achieving extraordinary accomplishments is never without obstacles. Nicole faced her share, and tells us about one of them here. I’d wanted to be a fighter pilot from the time I was 5 years old. My parents took our family to an air show where I saw an aircraft called the F-4 Phantom flying. The F-4 fighter aircraft had been the workhorse of the Vietnam War. It was loud. It was fast. I could smell the jet fuel and feel a rumble in my chest as it flew by. I was mesmerized. I became obsessed with flying. While other high school students were practicing for their driver’s licenses, I accumulated flight time—I was sixteen years old when I took my first solo flight. While in high school, I joined the Civil Air Patrol and participated in Air Force Junior ROTC. I earned my commission from the United States Air Force Academy and secured a coveted spot in pilot training at Columbus AFB, MS.
As you can imagine, pilot training is highly competitive—and only a few pilots in each class will ever have a chance of becoming a fighter pilot. The most important factor in one’s class ranking was the grade received on each of our monthly check rides. My first check ride went so well that I received an award for it. My second check ride was a totally different story: I had mechanical issues with the aircraft upon engine start, the runway was closed for an emergency, and with all of the delays I was burning through time and fuel. I let my frustration start to build. I made my adjustments and once I was finally airborne it was a fantastic aerobatic flight, in perfectly blue skies. After landing, when I headed into the debrief, the instructor pilot wasted no time telling me I had failed. FAILED? He went on to say that my flaps had been out of tolerance by two percent during the takeoff roll. It didn’t matter how well the rest of the flight went, I’d failed before I ever got airborne. I was devastated. I couldn’t believe that two percent difference might have ended everything I had worked for since I was five years old. The thought of failing out of pilot training certainly crossed my mind and, yes, there were tears. After calling my mentor and talking it through, I realized that I needed to take responsibility for my actions, fix them on my next flight, and that I needed to step back and see the big picture. I had ten more check rides—ten more chances—to make my dream come true. And I learned a very important lesson that day, one that stuck with me across my career: Failure is the price of entry if you want to achieve something great.